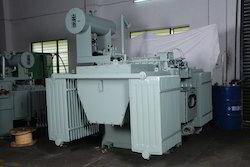 Prominent & Leading Manufacturer from Coimbatore, we offer oil filled auto transformer, three phase auto transformer and air cooled transformer. We are the manufacturer and exporter of Auto Transformers, which is designed and developed according to the international quality standards. These autotransformers are produced with a single winding, which it is tapped with 100v as it can perform 200V to 100V step-down transformer. 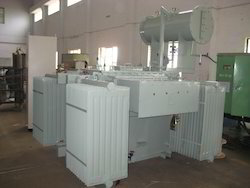 We are a premier manufacturer of the Three Phase Auto Transformer. Our In-house expertise in this filed has given us reliable client spanning from heavy engineering to electronics industry. The team at our production labs make full use of the floor managements techniques for optimum utilization of the minimum time and thus, faster roll out of these machines. Time constraint allows for innovative quality solutions and the QC takes added responsibility for training production manpower. With excellent packaging and supply skills, we are successfully able to reduce cost. 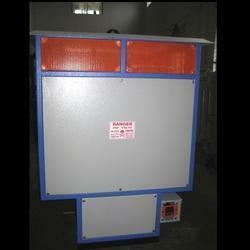 We are manufacturers of Air Cooled Transformers.